Art as we know it is constantly trying to catch up to the encompassing world that is undergoing some drastic changes of its own. Technology has undoubtedly influenced art and its reach in numerous ways; advances in modern technology have proven to have both detrimental and positive effects on art. Some artists, like David Hockney, have embraced technology so fervently that it has revolutionized their entire artistic aesthetic. Others, like contemporary artists Rachel Knoll and Charlene deGuzman, are conflicted by technology and have even created entire works that address how problematic it can be. Falling into a category somewhere in between is Brooklyn-based Victoria Siemer, a graphic designer whose works are evocative of a world in flux, where the digital and the nostalgic are constantly at odds with one another. 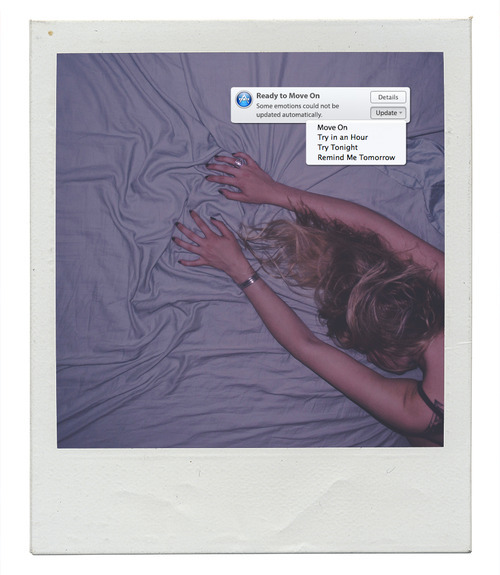 One of her latest works, “Human Error,” is a series of Polaroid photographs overlaid with computer-generated error messages that merge the technologically mundane with heartbreaking language. 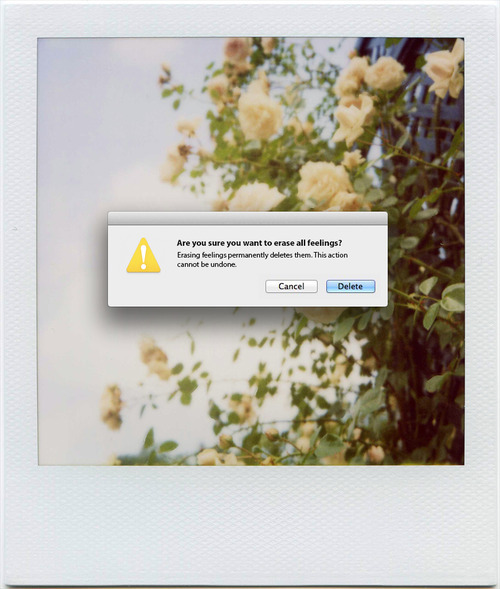 With messages like “Heart Not Ejected Properly: Eject ‘Heart’ before disconnecting or turning it off,” placed upon dreamy, relatable looking photographs, “Human Error” becomes a haunting portrayal of how desensitizing technology can appear when juxtaposed with human emotions. “Human Error” does well to examine the role that technology plays in our sometimes-heartbreaking human existence. Interestingly enough, without technology, Siemer, like many artists, wouldn’t have a platform to share their work, or even the resources to create digital art in the first place. This paradox is one that countless contemporary artists face today, many of them finding ways to embrace new means of artistic expression, without compromising their integrity. With the immensely compelling “Human Error,” as well as her other works, it seems as though Siemer has also discovered that all-too important artistic balance herself. To see more work from artist Victoria Siemer, check out her website at witchoria.com.